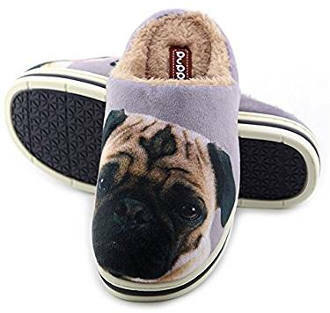 If you are a pug lover and owner, then finding a fun pug slipper that will keep your feet warm does not need to be a difficult task. 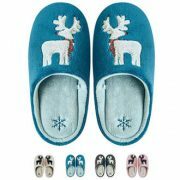 That is why we thought to make it easier for you and offer you a review of some super cute pug slippers for men and women. Silver Lilly Pug Dog slippers come in small, medium, large and extra-large. 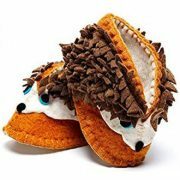 These cute brown and tan slippers have a traction dot sole and a padded foot bed. 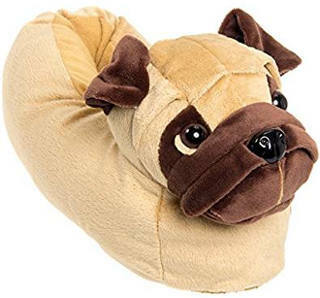 The pugs have adorable little faces with bright plastic eyes and button noses that will make you smile. 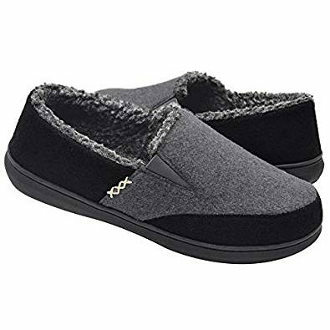 Customer reviews are very good with the majority of users finding this pug footwear to be cute, warm, and comfortable. 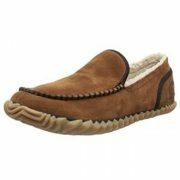 It is also soft, fits well and doesn’t feel bulky on the feet. 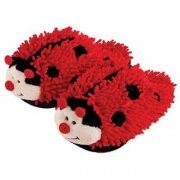 These MiYang Pug Slippers feature a cute little pug face and a curly pug tail. 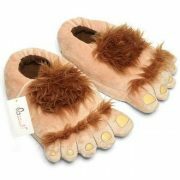 They are available in sizes 5-6, 7-8,and 9-10 and are designed to fit even people with extra wide feet. 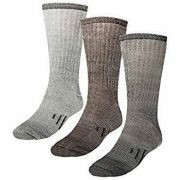 They have anti-skid soles, wool like lining as well as a wrap around mid-sole, and can be machined washed in cold and dried flat. 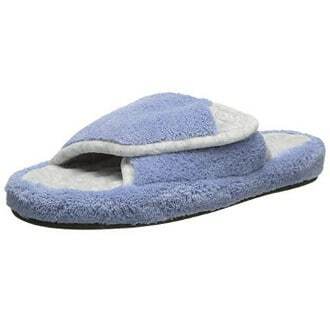 The majority of users review that this product is soft, cushy, warm, comfortable, cute and durable. 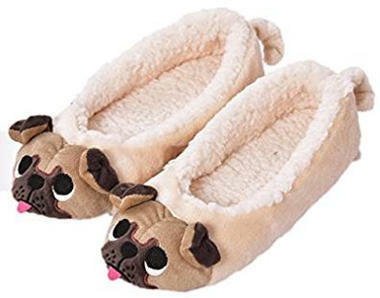 These Unisex Pug Slippers come in several animal patterns including pug dogs. 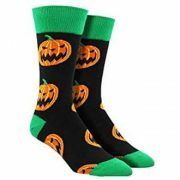 Sizes include 7.5-8, 8.5-9, and 9.5-10. 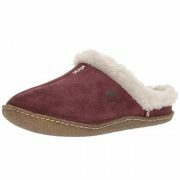 They are made of soft velvet and have no back with a soft inner lining. 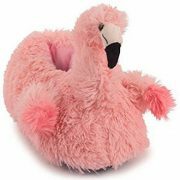 Reviews are extremely positive with users saying that these thick slippers are cute, comfortable and good fit. They also find the print to be good and they like the fact that they can be washed. 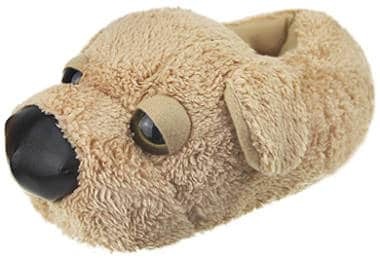 These adorable fawn and brown pug slippers really look very realistic with the cute little pug face, wrinkled head, soft fur and wide spaced eyes. 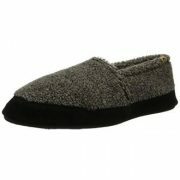 They have a pillowy filling and are designed to fit most sizes up to a woman’s size 12 or a man’s size 10. 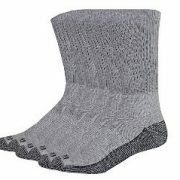 Users review that they fit well, have a good construction and they are soft, cozy and warm. 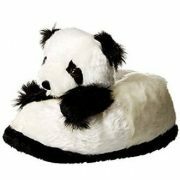 These pug house slippers are plush as well as soft and have a TPR sole. 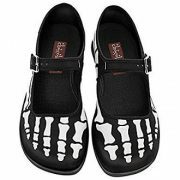 They are available in sizes 5.5-6.5 or 8-9. 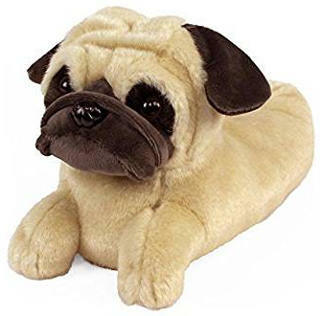 The tanish brown pug has sleepy eyes and a blackish brown nose which looks extremely cute. 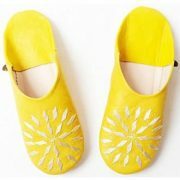 User like this footwear and find it to be soft, cute and comfortable. 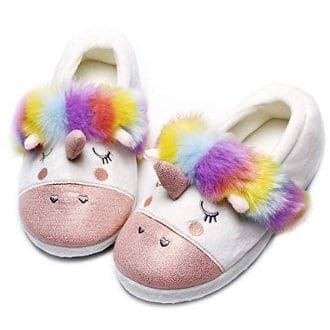 In conclusion, if you are a pug lover or are simply looking for a cute and fun pair of dog slippers, then one of the cute pug house slippers for men and women in this review may well fit the bill.